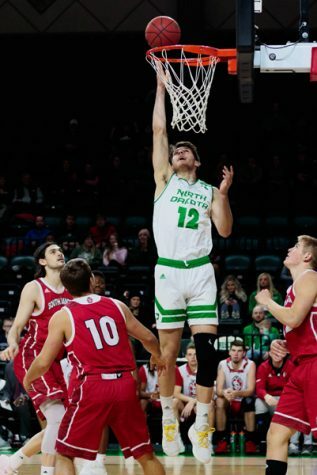 The University of North Dakota men’s basketball team has had a relatively unexceptional start to the 2018-19 college basketball season. But, as students traveled home for the holidays, the basketball season was just starting to heat up. Let’s catch up on what happened over the break. Heading into the holiday break, the Fighting Hawks were an even .500, winning five of their first 10 games. They started the season well, winning four of their first five games. The only loss of the first five coming from the Kentucky Wildcats who were ranked No. 10 in the nation at the time. However, they then proceeded to lose four consecutive games. The Hawks wouldn’t head into break on a losing streak, though. On Sunday, Dec. 9, UND would beat Milwaukee for the second time of the season to send student fans home with a win. To kick off Christmas break, the Fighting Hawks were home to take on the Mayville State Comets. They would build upon the momentum from their win over Milwaukee and beat Mayville State 83-66 behind an efficient 22 points from Cortez Seales. After that game, though, things would get much worse for UND. 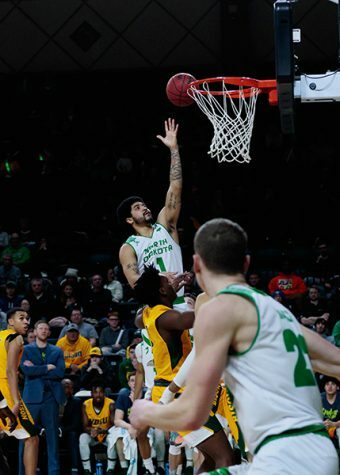 The Fighting Hawks lost their last two non-conference games, both on the road, to a talented Marquette team and a less talented Northern Iowa team. 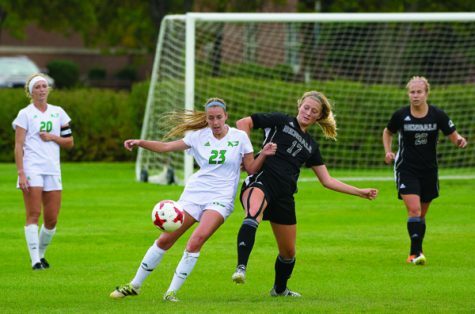 The game against Marquette marked the second time this season that UND played against a nationally ranked opponent. While Marquette isn’t as talented as Kentucky, it’s never easy to play on the road against one of the country’s best teams. At the time of the game, the Marquette Golden Eagles were ranked No. 20 in the nation. 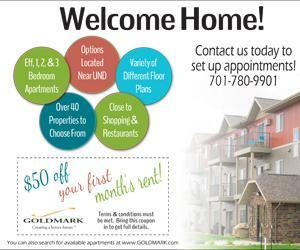 After those two games, UND would travel back to Grand Forks to start conference play at home. 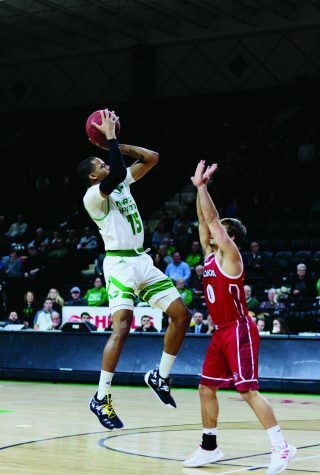 They had a tough first two games, losing by 11 points to both Purdue Fort Wayne and Oral Roberts, giving the Fighting Hawks their second four-game losing streak of the season. Basketball is said to be a game of runs, but usually, that refers to runs within one game that each team will make. For the Hawks, it seems like their season has been a season of runs so far. They won four of their first five games, lost four straight, won two consecutive games, and then lost four straight again. Whether or not the streaky stretches of wins and losses continue, the play as of late has definitely seemed better. 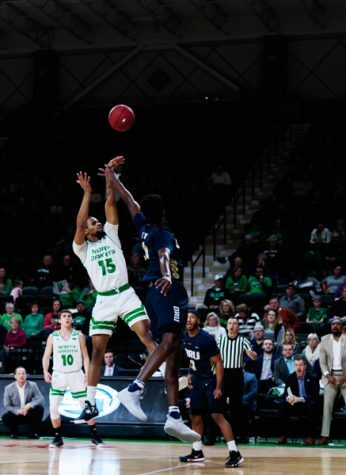 UND has won two of their last three games, with their only loss in that stretch coming in a crushing 92-91 home loss at the hands of Omaha – a team that has found tons of success lately, winning six of their last seven games. 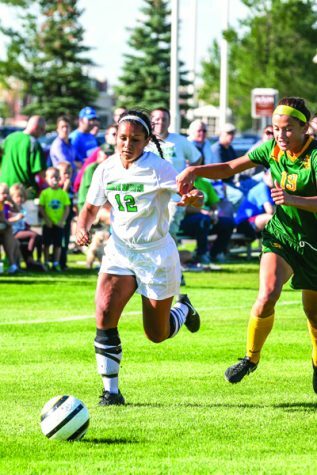 UND is now 8-10 overall and 2-3 in conference play, which puts them in sixth place in the Summit League. 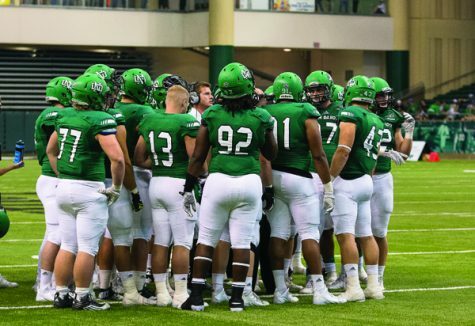 This week, the Fighting Hawks will have two tough games against rivals South Dakota State and North Dakota State. South Dakota State comes to Grand Forks on Wednesday night and the men head to Fargo on Saturday. Will they build upon their recent success or will they begin another less-than-stellar stretch of games?